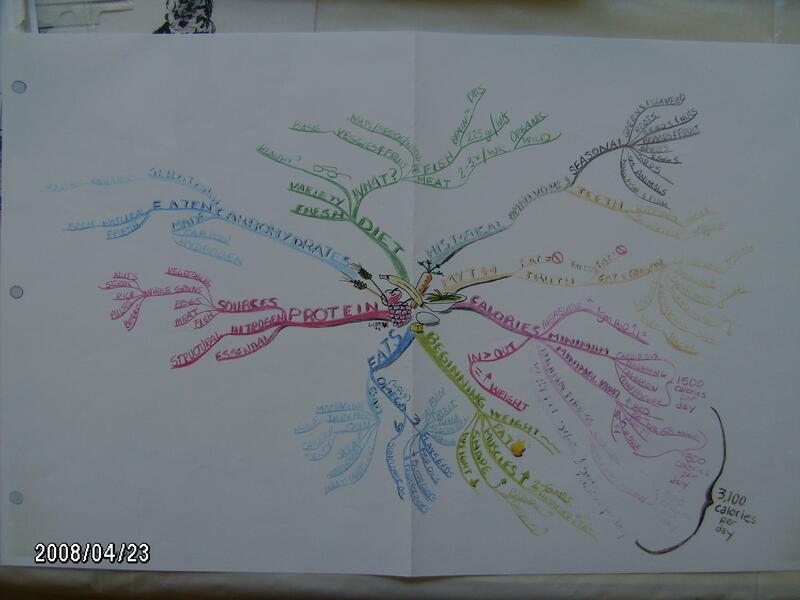 The map below is a sample of a map created by Liza Seiner, a fellow Certified Idea Mapping Instructor, at the Palm Beach April 2008 certification training. Liza makes very nice maps and you can readily see that this map is about eating healthier. Notice the large amount of information that can be conveyed in one page.